So the era of cable TV is over... in my mind. Too many people I know are no longer watching TV, or even if they do still have it, it's PVR where they bank a bunch of shows and watch as they please. I watch very little TV as it is these days, and even my son watches only Youtube or the rare Netflix show. 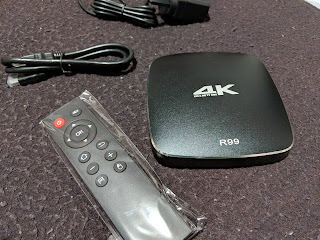 Now and again my wife will suggest a show for us to watch that she heard was good and it's just super easy for us to pull it up on Netflix or find it on Kodi. Up until recently, I was using the Entertainment Box T8V which has been fantastic. Definitely paying a bit more for the box gets a more fluid experience. 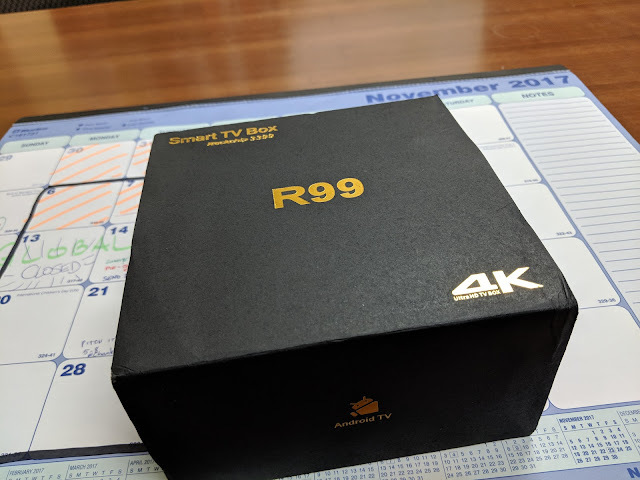 Well, EBox folks have recently released the R99, a 4K compatible box, but will run you about $200CDN ... so is the price difference really worth it? Let's find out. So, from the other model, the big difference is the 2 extra GB of RAM and 16 more for storage. We probably don't use much storage on board (there are USB ports for drives to plug into). But let's talk about the box itself. It's very nice and small. Low profile, so it hides easily wherever you put it. In the box is an HDMI cable, the plug (oh, and make sure you request to get a North American plug, they sent me the UK one and having to find an adapter was a pain). 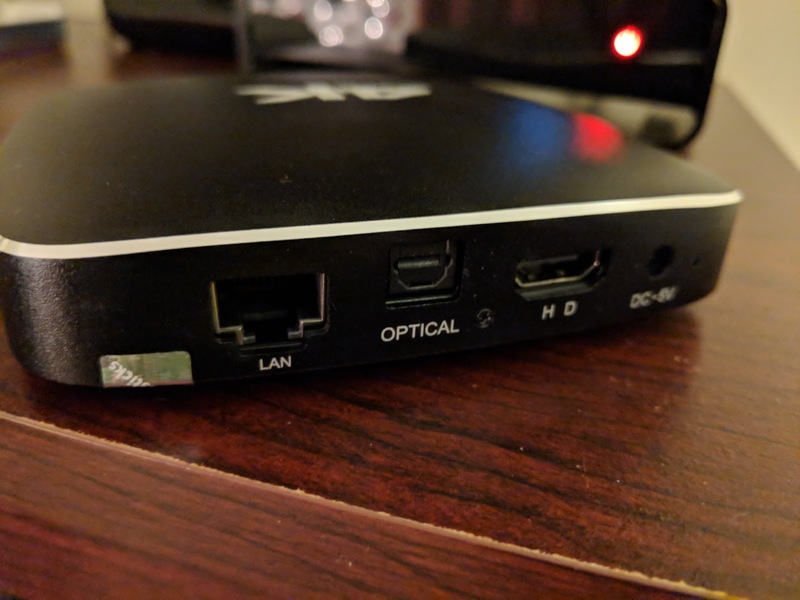 This remote is pretty basic and is IR only. So, moving the selector around on screen, ... basic functions, but you have to be pointing it AT the device ... like it's the 80s or something. Upgrade that remote soon. 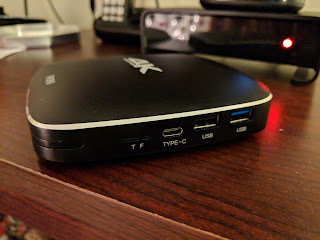 There are 2 USB ports (one will be used for the transmitter for the S77 remote... trust me, you'll want to pick that up). There's also a USB-C connector too. That's cool. Booting it up is quick but unlike the previous box, this one is using Nova as its launcher. So it really looks like a tablet. 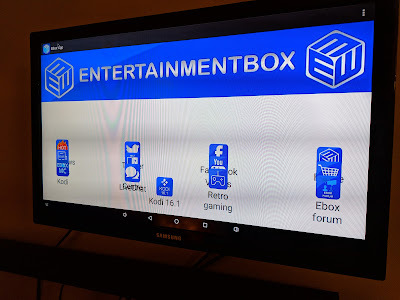 Which is fine, but I did prefer the simple Ebox launcher. There is the app still, but it looks a little funny on my screen as the icons look all a little smooshed. Outside of that ... the primary functions of the box is to run Kodi ... really. Let's be honest. 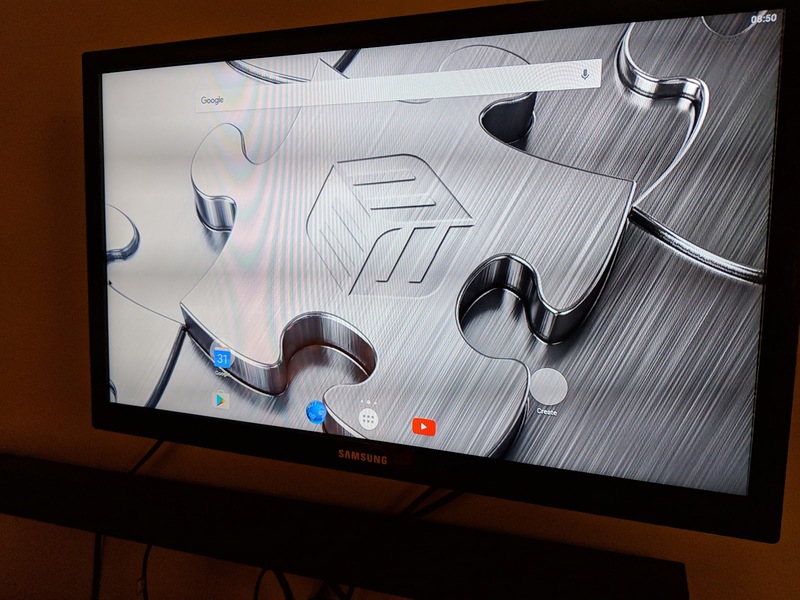 You can run Netflix, but without the right remote, it's a little hard for the tablet-style interface. There are other apps, and hell, you have Android at your disposal, you can run just about anything you want. It just gets a little harder to navigate than your phone because of the lack of a physical interaction. So, be prepared to spend some time setting things up properly. That being said, this thing FLIES. Sure, it's not blazing fast as a flagship phone, but about damned near. 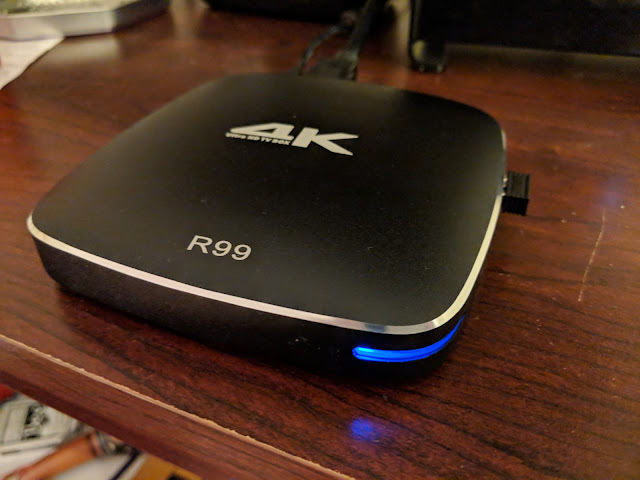 Even using Kodi, I'm noticing things like the animations it uses to switch display screens etc... having a few GB more seems to do the trick in terms of allowing it to run fluidly. At the end of the day, it's an extra $80.. will I notice it? Well... it's a noticeable difference for me; but is it worth it? That's a hard pill to swallow. I've never complained about it being slow in the past. But maybe it's about being future ready. Having the extra performance room is good for if we had proper sourcing for 4K streaming will be good. For now, I'm not sure.